We all love to eat out! Sarasota has no shortage of places to eat and being on the water, the fresh fish available is superb! Working for Edible Magazine as a photographer I have photographed many of the interesting restaurants and chefs in town. These are some of the pics. A bit of a hike to Anna Maria but SO worth it is the Blue Marlin. Fish caught that day, live music at weekends. 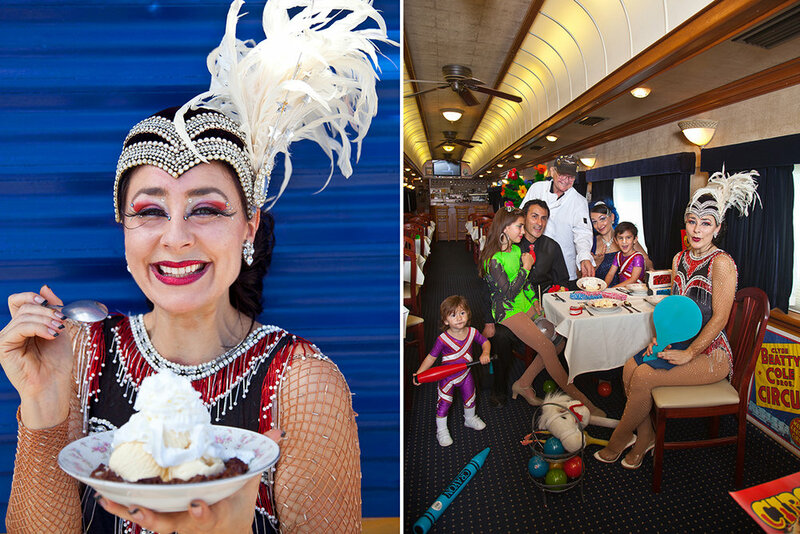 Closer to town is the funky Bob's Train, a casual restaurant in four train cars that were owed and used by John Ringling of the Circus fame. Bob will fascinate with his stories. C'est la Vie on Main street has the best croissants and French pastries in town. And other good brunchy things. 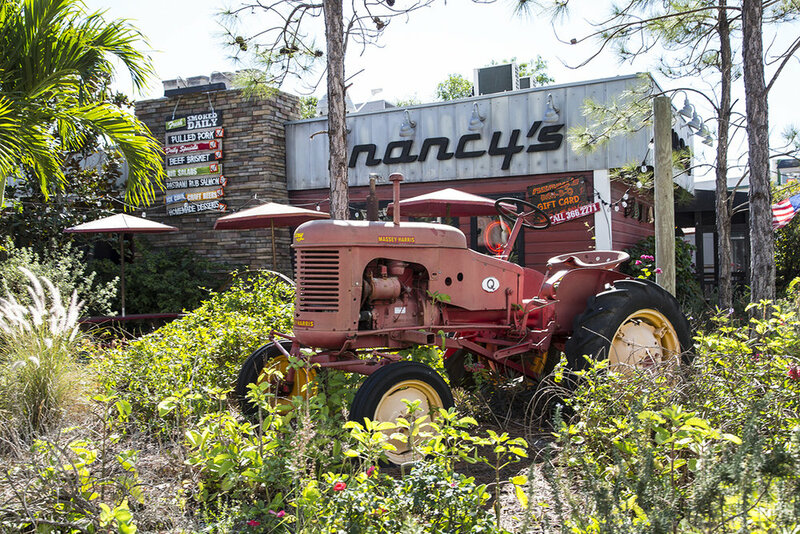 If you like barbecue, Nancy's in Burn's Court is delicious. Owen's Fish Camp is also in Burn's Court and apart from lots of seafood has the most amazing back yard, an ode to old Florida, with genius set design by Mark Carogioula photographed here on the back swing.